**Size fits Men Shoe Size 5-10 Women Size 6-12 *NO MORE SLIPPING OR BLISTERS in your shoe. **Gripping technology the bonds your foot to your shoe with pads both inside and outside of our Socks. **Size fits Men Shoe Size 5-10 Women Size 6-12 *PROVEN PERFORMANCE ENHANCING SOCKS to not only increase speed and agility but comfort too. 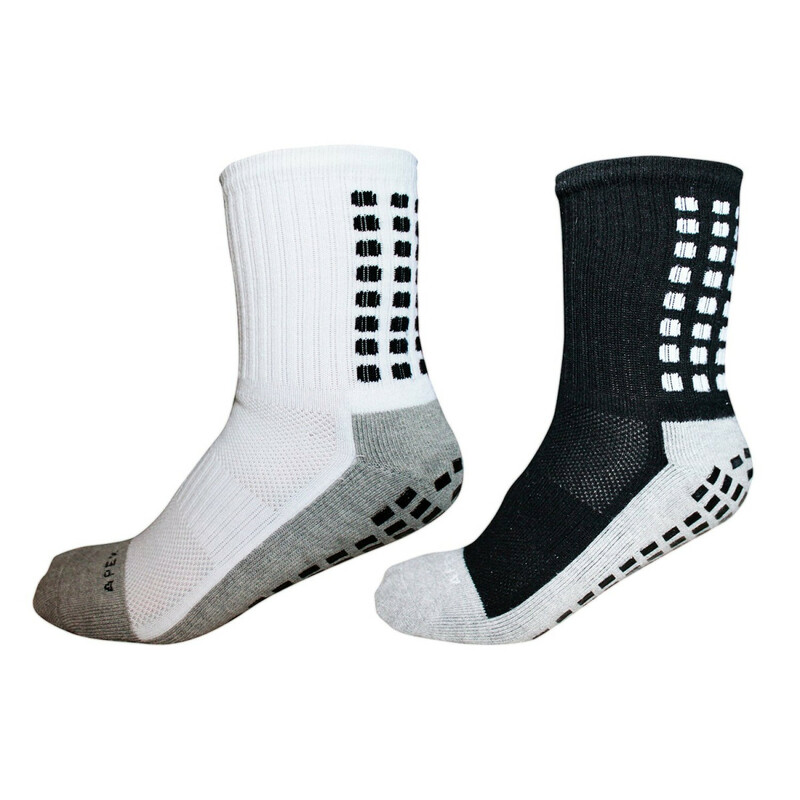 With our *FOOT GRIP TECHNOLOGY on both the *OUTSIDE AND INSIDE of our socks, your shoe becomes *BONDED to your foot for extreme performance! non-slip non-skid socks with our grip technology to improve performance. Great for FOOTBALL BASKETBALL SOCCER BASEBALL RUNNING HIKING. Our sport grip technology with gripper action that insure the prevention blisters!